In an ideal world, your ears blend into your head without becoming the centers of attraction. Unfortunately, some ears don’t cooperate or you may have overdone it with your earrings. Whatever the case, if the shape of your ears is an issue, Tom Pousti, MD, FACS, at Pousti Plastic Surgery can help. From reshaping ears to repairing earlobes, Dr. Pousti provides a comprehensive suite of ear surgery options to patients in San Diego. To learn more, call the office or use the online scheduling button. Please visit our photo gallery to see thousands of patient before and after images. Otoplasty, which is sometimes referred to as ear pinning, is the general term used to describe a surgery to correct the shape, position, or proportion of your ears. For example, if your ears stick out too much or they’re simply too large, an otoplasty can correct these issues. In fact, an otoplasty can help those who have more severe deformities in their ears, whether they were born with them or an accident caused the problem. Dr. Pousti offers different types of ear plastic surgery at his practice, and he’s happy to sit down with you to review your concerns and your goals. 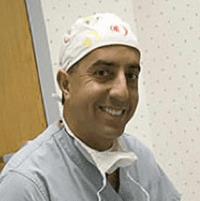 In most cases, he’s able to perform the surgery in his office surgical suite, but for more complex cases he performs the surgery in a hospital setting. Most of Dr. Pousti’s ear plastic surgeries involve making an incision on the back side of your ear so that he can thin or cut away the cartilage to give your ear a more normal position and configuration. Dr. Pousti uses stitches to hold your cartilage in place and to close the incision. Afterward, Dr. Pousti applies a dressing around your head so that both ears can be protected and the swelling and discomfort limited. What is an earlobe repair? If you’re dissatisfied with the appearance of your earlobes, the odds are that Dr. Pousti can help with a simple, in-office earlobe surgery. The answer to this depends upon the type of surgery you undergo. For minor earlobe repair, you may feel some discomfort afterward, but you can usually return to your normal activities fairly quickly. If you’ve had a more extensive otoplasty, you may need to take it easy for a few days. In both cases, you need to take care of your incisions and avoid getting the area wet while it heals. Dr. Pousti and his team supply you with everything you need to know, and they’re always happy to answer any questions you may have. If you’d like to make a change to the appearance of your ears, call Pousti Plastic Surgery or use the online scheduling tool to make an appointment to discuss your ear plastic surgery options.